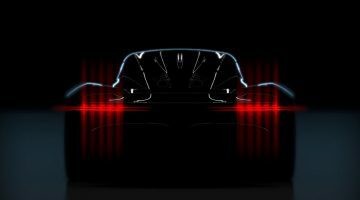 The carbonfibre-clad, 592bhp, all-wheel drive hybrid coupe will go on sale later that year, adding to the burgeoning ranks of electrified performance cars on the market. Priced from $175,000, the Polestar 1 will come in at around $13k more than luxury GT rivals such as the Mercedes-AMG S63 Coupe and only $26k less than a Bentley Continental GT. These big names might make the Swede look decidedly expensive, but the way it extracts its supercar-like power is a little more complex than a simple turbocharged internal-combustion engine, so too is its carbon construction. The electric element of the Polestar 1’s hybrid powertrain consists of two electric motors that drive the rear axle through a planetary gear set. This enables torque vectoring with the two motors drawing energy from from a 34kwh battery and producing 218bhp on their own. The system also integrates an electric starter motor, and the Polestar 1 has a pure electric range of 161 kilometres – over four times that of the BMW i8. Putting up the other 374bhp is a 2.0-litre twincharged four-cylinder petrol, driving the front wheels via an eight-speed gearbox. The combination of turbocharged, supercharged and electric power results in 592bhp and 737lb ft of torque. Polestar hasn’t quoted benchmark figures yet, but expect a 0-100kph time near four seconds. 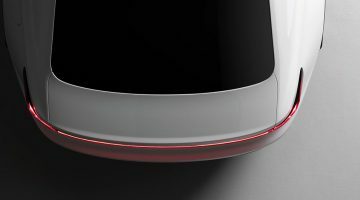 Built on the SPA (scalable product architecture) platform underpinning the current large Volvos, the Polestar 1 casts a deceptively small footprint, measuring 650mm shorter than the S90 saloon – cutting 320mm from the wheelbase and 200mm from the rear body – and matching a Porsche 911 in length. Despite the SPA origins, almost 50 per cent of the platform is unique to the Polestar 1, including the carbonfibre-butterfly connecting the floor to the rear platform. 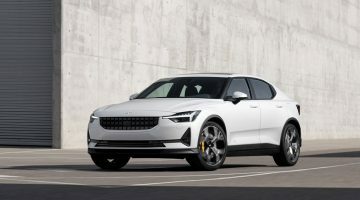 Due to its subscription based sales structure, Polestar hasn’t revealed a price for Polestar 1, nor a monthly figure but Jonathan Goodman, Polestar’s COO, has said the car would cost in the region of $169,000 should it be sold in a conventional way. Next Article Mini Cooper S GT Edition – a modern-day Mini 1275GT? Polestar 2 revealed to shake up status quo – is this the BMW 3-series of the future?